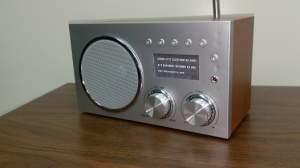 A free radio service for the blind and visually impaired community of east central Illinois. The Illinois Radio Reader is a free service for the reading impaired community of east central Illinois. 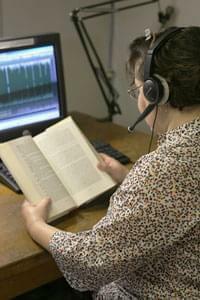 The service depends on volunteer readers who produce 80+ hours of weekly programming. Forty years of caring, sharing and over-the-airing with the reading impaired community. Click here for the complete Illinois Radio Reader schedule. Who qualifies to receive this service? Anyone who has a visual or physical disability which impairs his or her ability to read is eligible to obtain this free service. Download an application for a radio receiver, or call 217-333-6503 for more information. Every weekday, local programming is available for broadcast. The newspapers, magazines and books that are shared with the listeners are read by volunteers who either record at home and e-mail the material or who come to the Illinois Radio Office at 300 N Goodwin in Urbana to record in person. A short orientation and commitment to a half hour or an hour weekly is all it takes. On-call readers are also appreciated. If you have time to record, please call Kathie Spegal at 217-333-6503 or contact Illinois Radio Reader by e-mail.